A stark naked man ran down the track just before Usain Bolt’s last ever individual race at the 2017 World Championships in London on Saturday. The streaker, with ‘Peace and Love’ written on his chest and ‘Drug Free for Mom’ written on his back, appeared in front of thousands of spectators waiting to witness Bolt’s 100m farewell at London Stadium. The man successfully dodged an attempt from the first steward to stop him, much to the joy of the crowd, before group of security guards managed to get hold of the long-haired intruder. The streaker finally had his modesty covered by one of the stewards as he was escorted off the track. During the race itself, US sprinter Justin Gatlin tore up the farewell script for Bolt, winning gold with a time of 9.92 seconds. 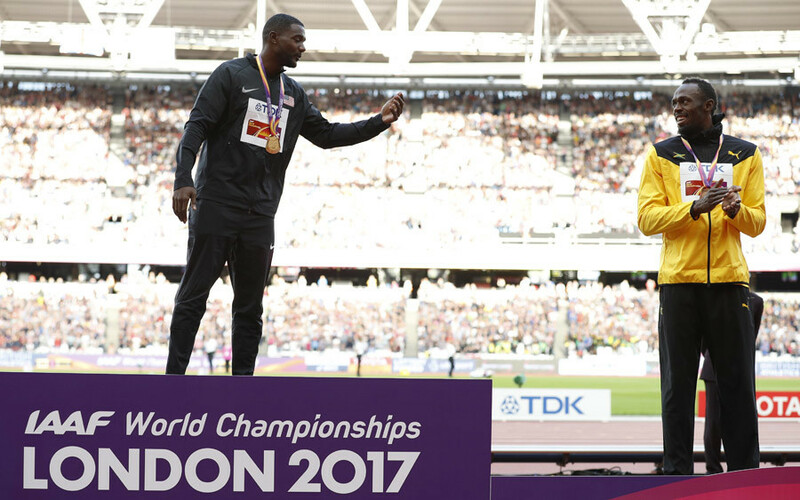 The 30-year-old Jamaican was unable to catch a fast start from Gatlin, who was booed after the race and also on receiving his gold medal on Sunday, in contrast to the huge ovation given to eight-time Olympic champion Bolt. Gatlin’s win caused a furor among media and athletics fans, given the American has twice been banned for drugs offenses – in 2001 and again in 2006. Bolt will retire after the 4x100m relay on Saturday, August 12. The IAAF World Championships will close on August 13.